City councils, public forums, transportation meetings in California, Arizona, South Dakota and Washington. For a decade or so, researchers have found that when the public lacks access to information about local issues, democracy itself suffers. When local print news coverage drops, residents are less likely to participate in civic activities, like contacting public officials or joining a community association; less knowledgeable about the candidates for their U.S. House district; less able to hold municipal officials accountable, leading to economic inefficiencies; and, ultimately, less likely to vote. “When that coverage goes away, people don’t turn out to participate,” said Sarah Cavanah, a professor of mass media at Southeast Missouri State University. In November, a new study published in the Journal of Communication revealed an even further-reaching effect: After a newspaper in their community shuts down, those who do vote are more likely to cast a straight-ticket ballot, just as they did in 2016. 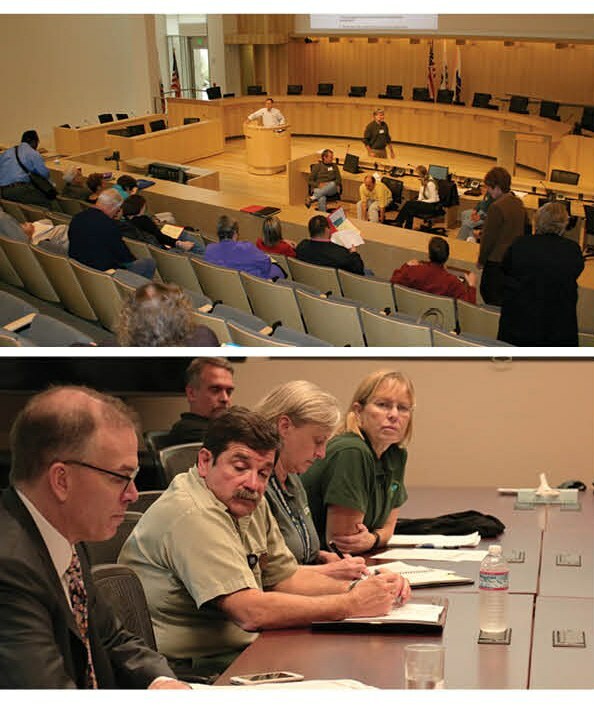 City council and Forest Service briefing in California and Oregon. Emily Benson is an assistant editor at High Country News, covering Alaska, the Pacific Northwest and the Northern Rockies. Email her at [email protected] or submit a letter to the editor.